Another Post – displays the content from a different post of any post type. Bucket – a module similar to a blurb. It includes hover effects. It’s great for creating buckets lists or displaying products. 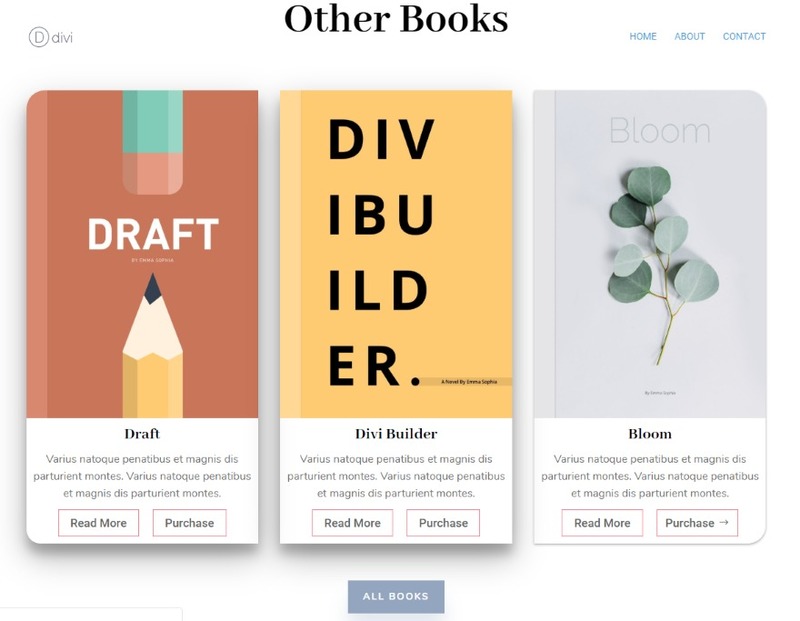 Footer – displays the Divi footer anywhere in the layout. It’s great for displaying the footer in the blank page template or with Toolset. 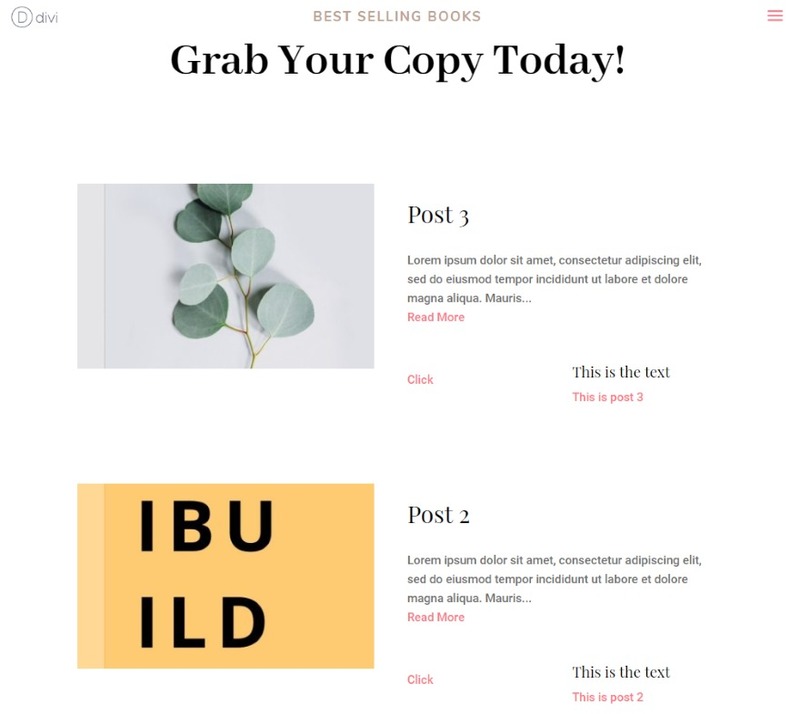 Library Layout – lets you inject a layout from your Divi library. Masonry Gallery – a new gallery that shows images in different sizes a masonry layout. Post Button – this is a button that links to a post. 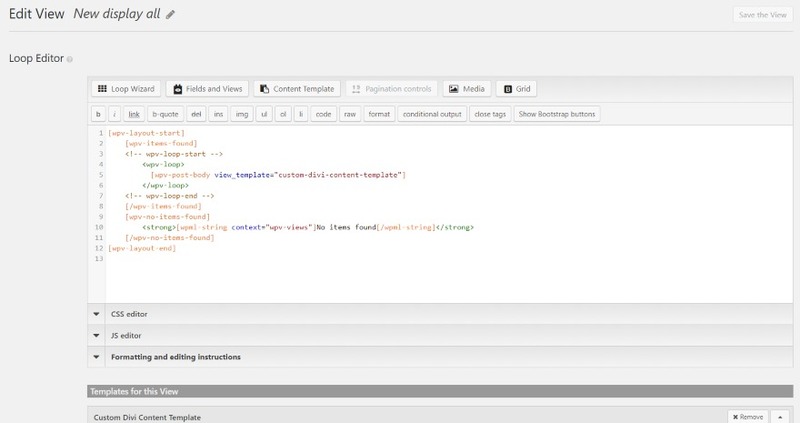 Post Excerpt – Lets you customize and display the post excerpt. Post Featured Image – displays a featured image with the settings of the Image module. Post Meta – displays customizable post meta. 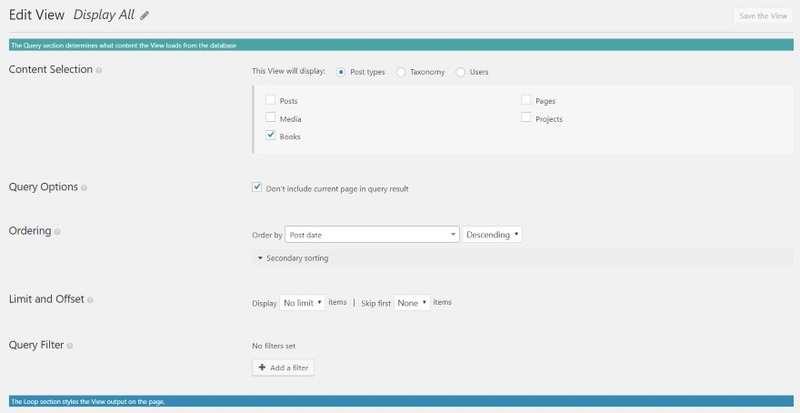 Post Title – displays the post title with a customizable module. Transformable Image – displays a 3D image with hover effects. Video Lightbox – displays videos in a customizable lightbox. 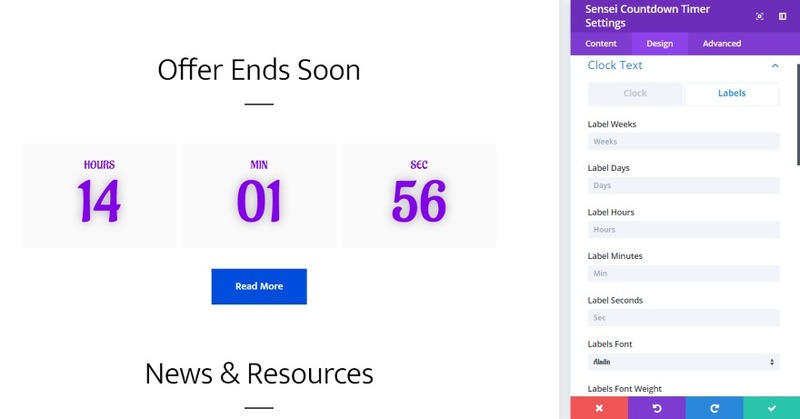 Countdown Timer – a customizable countdown timer that can execute an event when the countdown is finished. 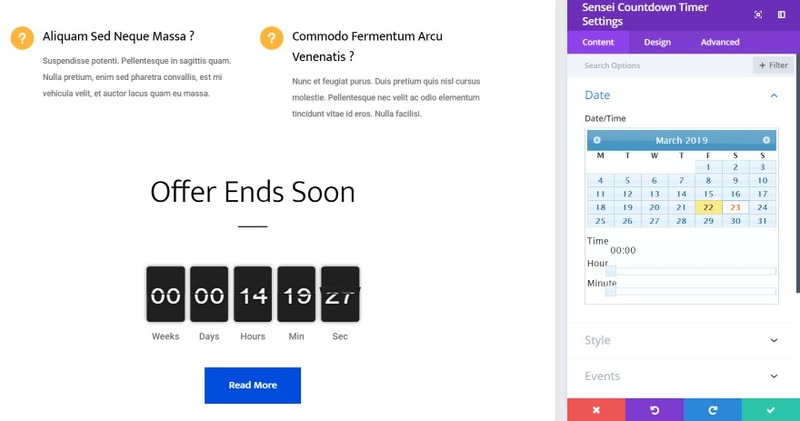 Material Blurb – a blurb with multiple buttons and elevation options. Post Content – displays a specific URL. Clicking it opens the link. Toolset Button – adds a button for a specific Toolset field and link to a specific URL. Toolset Counter – this is a counter for Toolset content. Toolset Gallery – displays a gallery for specific Toolset fields. Toolset Image – displays a Toolset image. Toolset Table – displays a Toolset table with layout and separator options. It includes individual item customizations. Toolset Textfield – displays a Toolset text field. Toolset View – displays the database views made with Toolset. The Material Blurb adds one new module. In this example, I’m recreating the book information from the Author layout with Material Blurbs. They were originally made with three individual modules: text, image, and button modules for each book. I’m able to replace them with a single module. I’m making a few customizations as I go. I’ve added a second button, adjusted the border, and customized the shadow for both regular and hover. You can use images or icons and you can have it to change to a new image or icon on hover. Here’s the result with all three material blurbs. I’ve set the base elevation to 5 and the hover elevation to 1. I’m hovering over the blurb on the right to show the hover shadow effect. I’ve left the button at their default styling, but of course, they can be styled just like any button in Divi. For this one, I’ve adjusted the hover effects again. I’ve set the base elevation to 1 and the hover elevation to 0. I’m hovering over the material blurb on the far right. 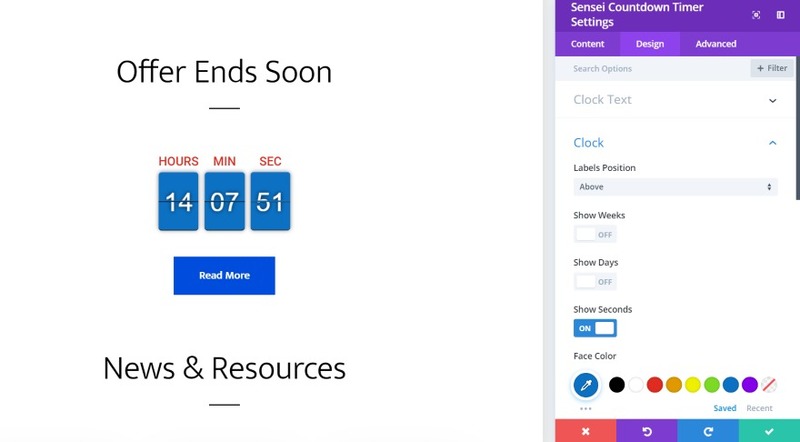 Countdown Timer also adds a single module. Here’s a look at what the countdown timer can do. This is the default settings using the flip style. You can adjust the offset so the tiles line up the way you want them to. I’ve placed it within the Risk Management layout, which provided the title, divider, and button. This is the block style with the default settings. For this one, I’m not showing weeks and days. I moved the labels to the top and changed their size, color, and made them all caps. I also increased the size of the clock’s text and changed the color of the clock’s background. It also has options to move the text position within the clock, adjust widths, etc. This one uses the block style. I’ve increased the size of the clock’s font and changed the fonts to Aladin, made them purple, and gave them a shadow effect. I’ve added a light gray background to the clock so it just barely stands out. 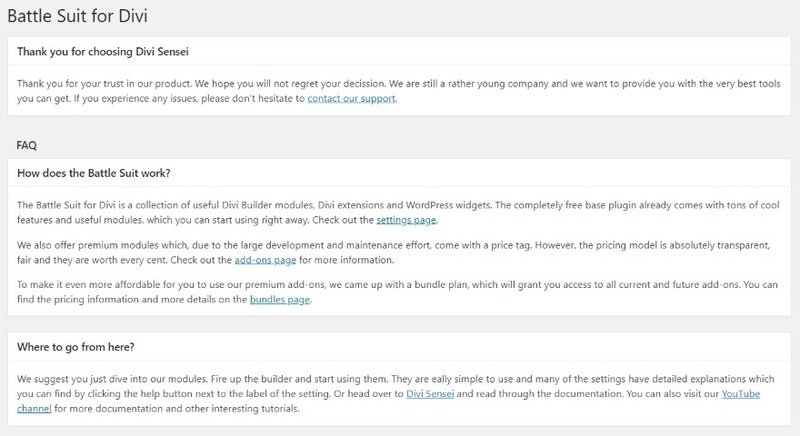 The Toolset add-on adds 7 modules to the Divi Builder. It requires the premium version of Toolset. I found the Battle Suit for Divi Toolset add-ons to be easy enough to use, but Toolset itself was a different story. It’s not an intuitive platform by any means and I don’t recommend it for beginning WordPress users. Even if you’re familiar with WordPress and Divi, I highly recommend watching How to build a custom Taxonomy Archive using Toolset and Divi on YouTube if you’re not familiar with Toolset. Keep in mind that the dashboard menu for Toolset has changed since the video was created, so it might take a few more steps to figure it out. Here are the steps that I took. 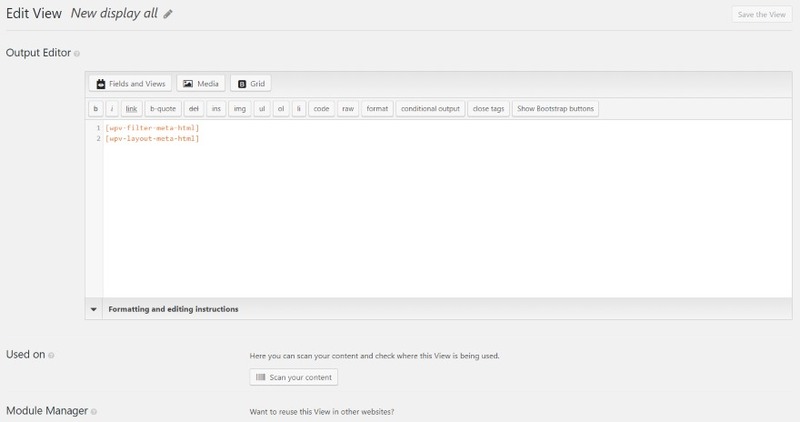 Create a View in Toolset. Be sure to select the post types display so they can use the View. Skip the loop wizard and select a content template. 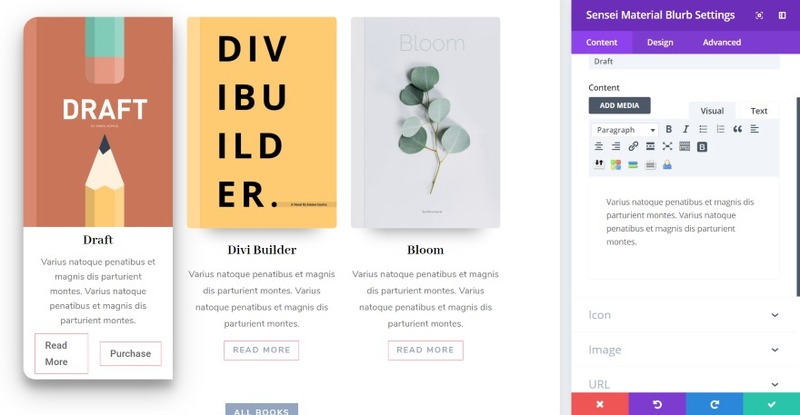 Here you can choose Divi, which will add Divi to the template options. make sure the Divi template is within the wpv-loop tags. 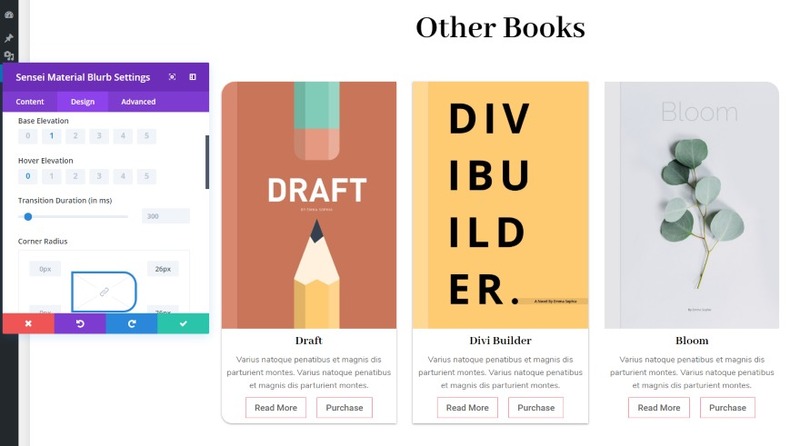 Create a template layout with the Divi Builder. First, enable it by selecting it from the options in this field and then click to edit. 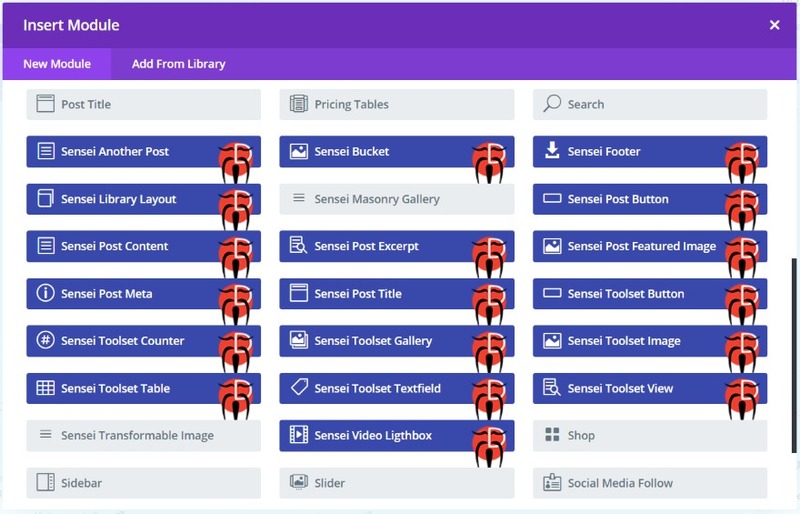 Create the template using the Sensei modules. Publish the template and save the View. Leave the Output Editor empty. 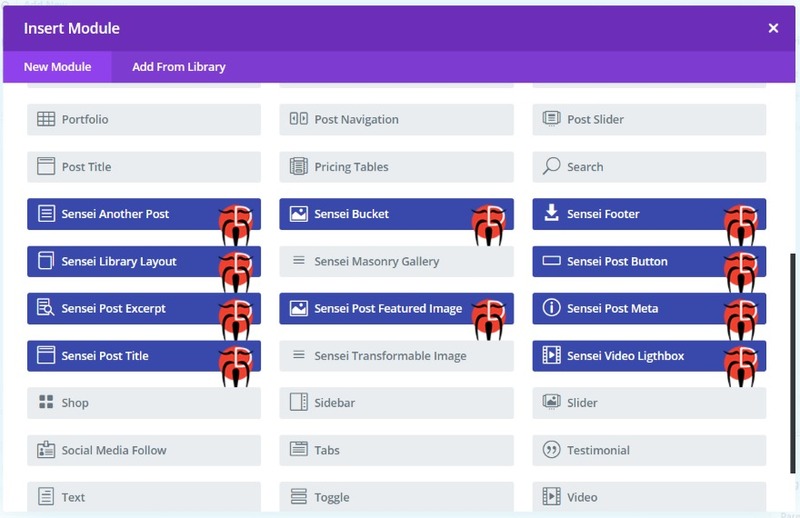 Add the Sensei Toolset View module to your page or post layout. Select the View from the dropdown in the module’s content tab. Make sure you’re not using a Toolset layout for the page. You want Battle Suit for Divi to control the layouts, not Toolset (at least in this case). It displays the posts in an archive loop using the template that I created in Divi. You can create any type of layout you want. I’ve limited the display to 3 posts with an offset of 0, but you can use this just like a blog module along with post sliders, etc. You can also order and sort the posts by a primary and secondary order. 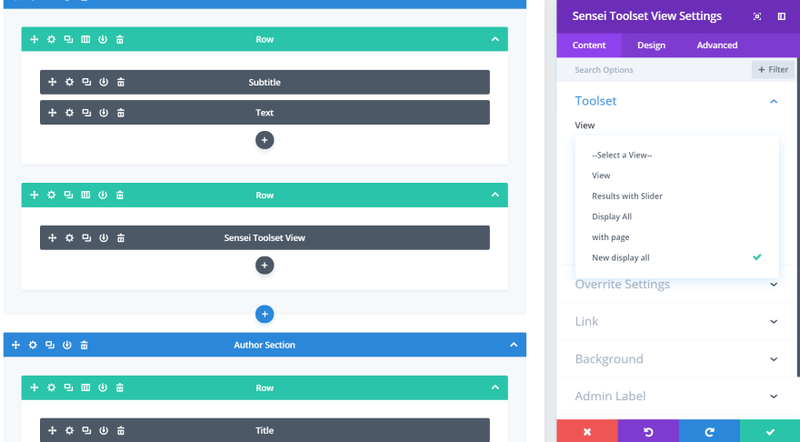 I’ve now added the module within the Author layout. I’m using the font style from the layout. I’ve also added a box shadow to the module. The Toolset counter lets you enter numbers to count to and from. You can choose to display numbers or a circle counter. It also includes all of the expected customizations. In this example, I’ve added a background with box shadow and some padding to the top and bottom. Everything else is the default (except for the number that I entered). The number counter can count numbers or dates. 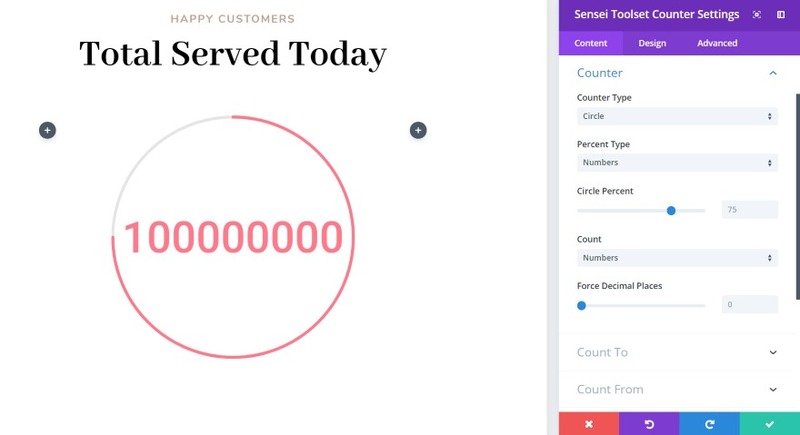 Here’s a circle counter that’s counting numbers. You can also have it to count a Toolset field for the percent type. 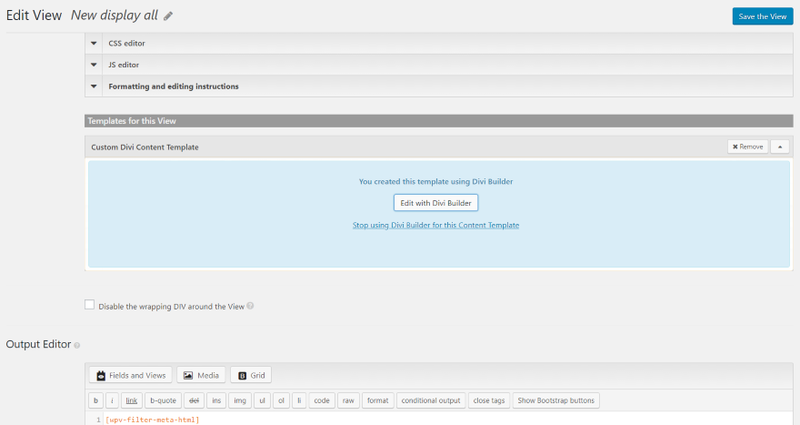 Battle Suit for Divi also adds a new widget to WordPress called Blurb. Add a title, image, URL, and description to create a clickable blurb for your sidebars. Add your title, image, link URL, and description. You can have it open in a new window if you want. I’ve added three widgets to create links to books. I’ve added the sidebar to a section in the Author layout. The result looks great with Divi layouts. More information is available at the developer’s website. You can contact support via email or by clicking the link in the menu. Documentation is provided by clicking links in the plugin’s menu. It provides links to an FAQ and the publisher’s YouTube channel where they have a detailed overview of each module. It only includes the main modules. Battle Suit for Divi is an interesting plugin and it adds a lot to the Divi Builder. Even the free version adds a lot, but you can expand it further with premium add-ons. You can choose the exact add-ons you want, making this a modular system. I had no trouble with most of the modules and add-ons, but I’d like to see some examples on the developer’s website of how to use them. I’d especially like to see examples of the Toolset add-on. That’s the only add-on that gave me trouble. 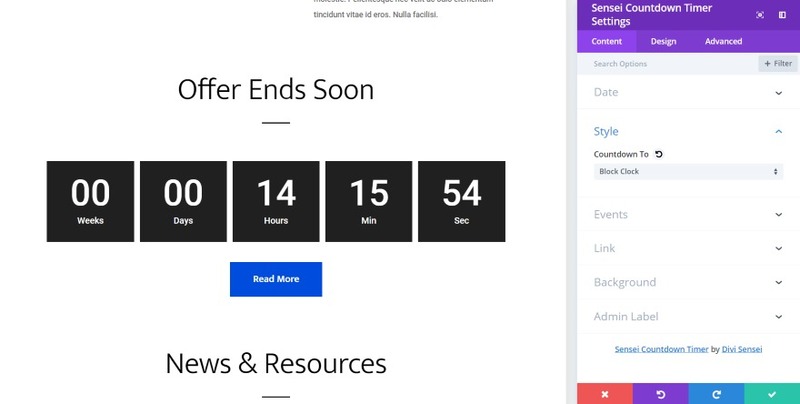 If you’re interested in adding lots of new modules to the Divi Builder to make your design-time easier, then I highly recommend taking a look at Battle Suit for Divi. We want to hear from you. 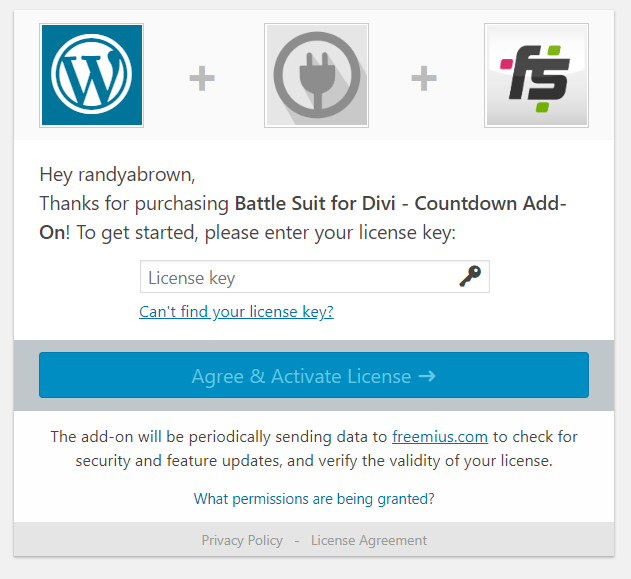 Have you tried Battle Suit for Divi? Let us know what you think about it in the comments. 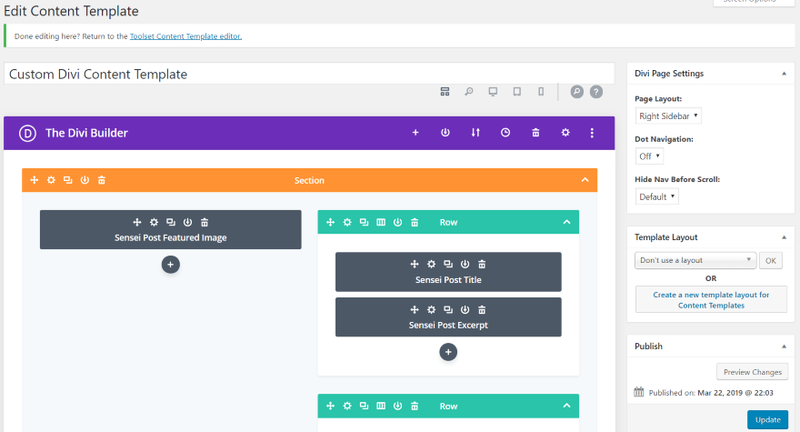 The post Divi Plugin Highlight: Battle Suit for Divi appeared first on Elegant Themes Blog.